Ah, Ruslan Kogan -- we can't help but want to see this starry-eyed dreamer succeed, even if we still haven't got our Android handset. According to Australia's APC, the man's gunning for the iPad market with an as yet unnamed tablet of his own. The goal? A full HD, ARM 600MHz-powered capacitive touchscreen device with 512MB RAM, 2GB storage, and an SDHC card for under $200 (presumably that's Australian dollars, meaning about $180 US). Apparently the above prototype runs Windows, Android and Ubuntu, although Windows won't be an option if -- and we do mean if -- this thing ever solidifies, due to production costs. As for that display, it's tipped to be 800 x 480, the sting of which is taken out by the unit's 1080p HDMI output. You say you're not in the market for a slate? Kogan's also said to be working on networked TVs ("probably by the end of the year") and a Blu-ray player with WiFi and YouTube widgets. As for the aforementioned Agora handset? "[S]oon," he says. "I can't give a time frame on that, though. It'll be as soon as we're allowed to." This is one mysterious man indeed. We can't help but wonder when he's going to get serious and tackle something big, like perpetual motion. 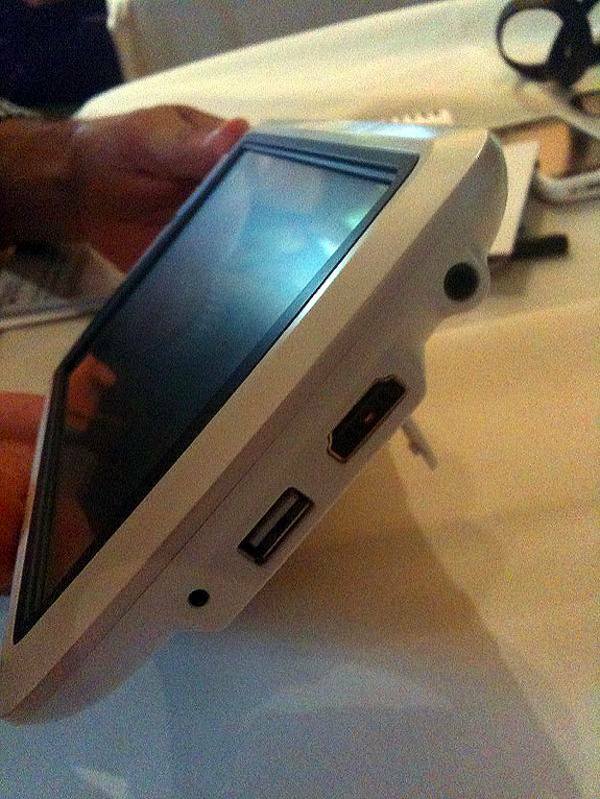 Update: We just realized that this is none other than SmartQ 7 MID first handled, oh, back in May!